Condition: This pretty green Windsor Cream Soup Bowl is in Undamaged Condition without chips, cracks, or mold damage. The handles are perfect. The color is a nice medium green. We have multiples of this pretty bowl. All are in the same Undamaged Condition as the one we have pictured. Please check the listing to see how many are still available. 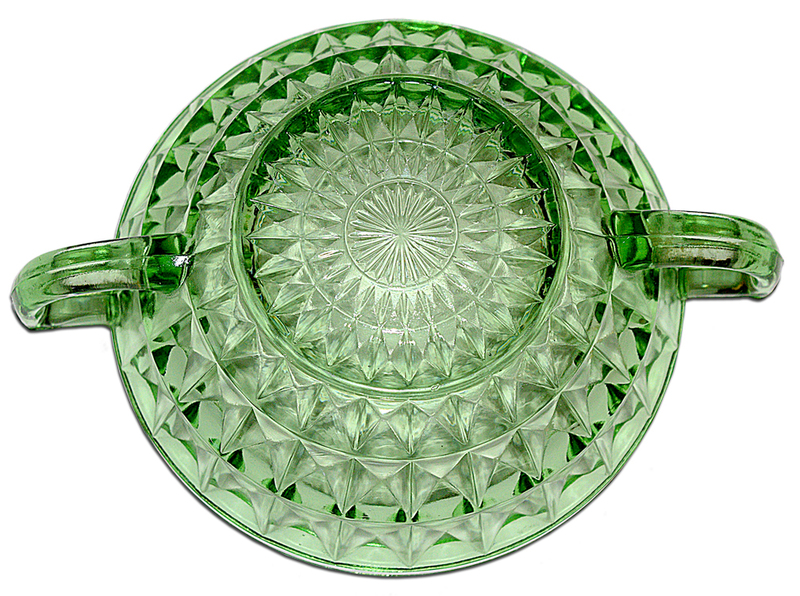 Windsor (1936-1946) - (amberina, crystal, delphite, green,ice blue, ruby)- Windsor was made by the Jeannette Glass Company. 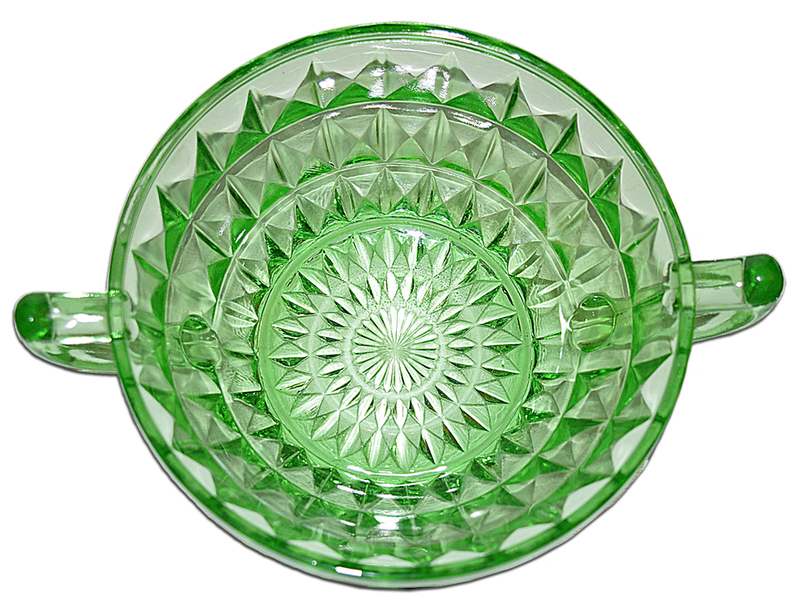 We have listed quite a few colors, but Windsor is commonly found in crystal, pink, and green. You rarely find pieces of the other colors, and finding a complete set of any of them would be virtually impossible. Pink and Green seem to be the most collectible colors. Some hard to find items include cream soups, ice tea tumblers, and candlesticks.